The Hall has an excellent car park with parking for over 20 vehicles. Facilities for the disabled include toilet, designated car parking spaces and easy automated access. The kitchen comes fully equipped with crockery for 90 people. If you require exclusive use please ensure you hire both rooms. The room measures 45 x 26 feet (15 x 8 m) (9ft. Ceiling). It can accommodate 120 people in theatre format and 90 people seated at tables. The sprung floor has been recently refurbished. A false ceiling has been installed with recessed fluorescent lighting. Together with wall lighting this provides options to adjust the lighting to suit the occasion. 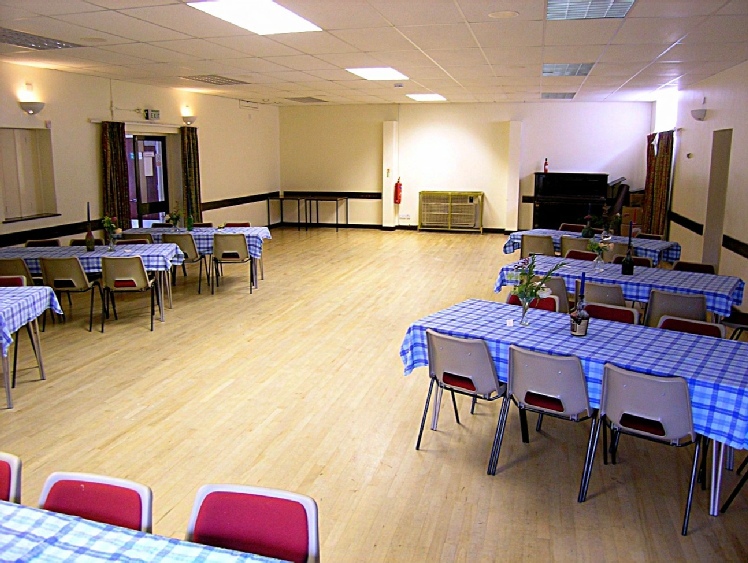 Well equipped with a hearing loop and speaker system, the main hall has the facilities needed for a wide range of events. Small intimate room with a laminated floor. The room measures 24 x 12 feet (8 x 4 m). It can accommodate 30 people in a theatre format or 20 seated at tables. Adaptable for meetings and training courses. 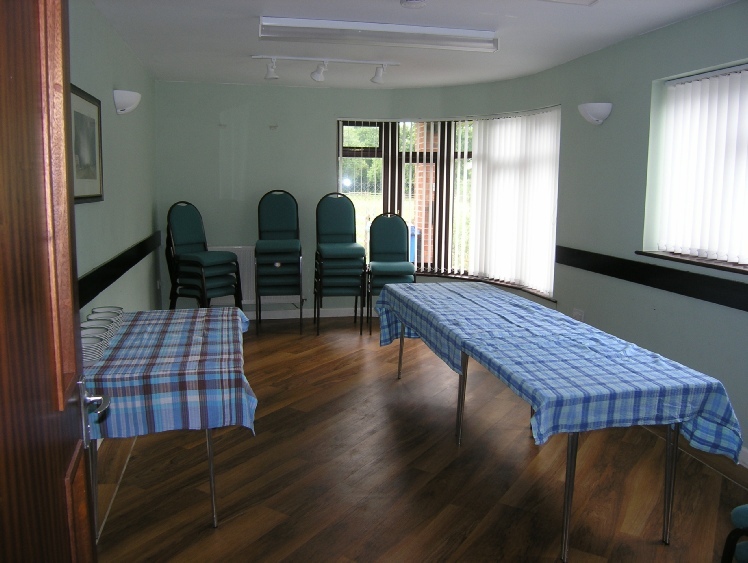 Both rooms have adequate folding tables and chairs. The larger tables will seat 6 to 8 people.